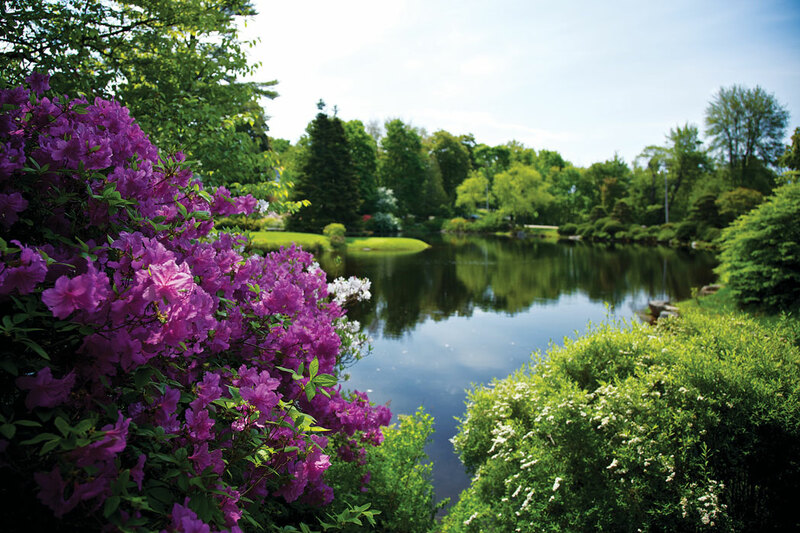 Gardening and landscaping have always been big among the MDI gentry, and the island today is speckled with serene spots to enjoy the fruits of their leisure. 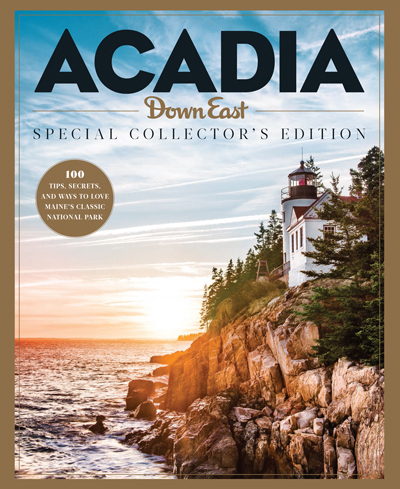 Buy this Special Collector’s Edition to get all 100 Tips, Secrets, and Ways to Love Maine’s Classic National Park! Styled after a Japanese garden, the neat-as-a-pin Asticou Garden achieves serenity through formality. Lush ferns and mosses give way to a lily pond and raked sand gardens. With its neighbor, Thuya Garden, it was created in 1956 by innkeeper Charles Savage, who used plants rescued from celebrated landscape designer Beatrix Farrand’s shuttered Reef Point Estate. Intersection of Rtes. 198 and 3 (Peabody Dr.), Northeast Harbor. 207-276-3727. Where Asticou is coolly elegant with its topiary and meticulous garden “rooms,” sister garden Thuya is easygoing and familiar, with flowering annuals and perennials. It’s reached via a stone stairway that switchbacks up a terraced, wooded hillside, and a trail in its northwest corner leads to Jordan Pond. On Rte. 3, ½ mile southeast of Rte. 198, Northeast Harbor. 207-276-3727. If exploring Acadia has piqued your interest in MDI’s native flora, take a walk through the Wild Gardens of Acadia, where the Bar Harbor Garden Club has created a neatly organized, scrupulously labeled microcosm of indigenous plant life. Sieur de Monts Spring. 207-288-3338. MDI luminary Beatrix Farrand brought her favorite plants with her when, at age 83, she dismantled her grand Reef Point cottage and moved into the family home of Lewis and Magdale Garland, her property manager and her horticulturist, respectively. Over the last 12 years, the terrace garden she created there has been painstakingly restored. 475 Bay View Dr., Bar Harbor. 207-288-0237. Designed for the Rockefellers by (you guessed it!) Beatrix Farrand, this privately owned garden blends English flower gardens with Eastern elements like a statue-strewn “spirit path.” Public access by reservation only. On Route 3, ½ mile east of Seal Harbor Main St. 207-276-3727. See more from our Acadia 100 celebration! Buy our Acadia Wall Calendar, a great take-home souvenir for travelers venturing to Acadia this summer and those who just appreciate the beauty of the region.